A clear acrylic keyring with a large full colour logo insert. 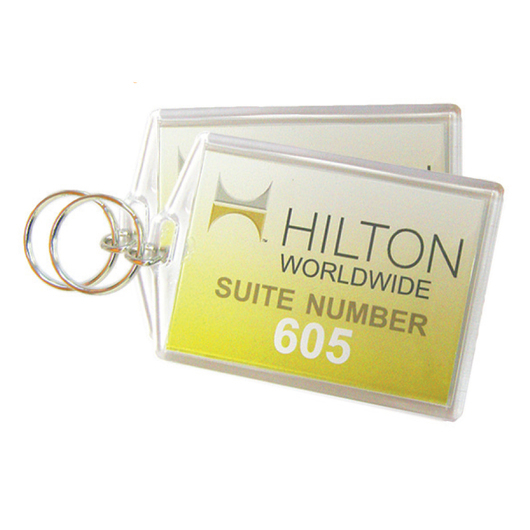 The hotel keyring as the name suggests is a fantastic clear acrylic keyring that boasts a large print area ideal for use as a hotel room keyring or baggage labelling. 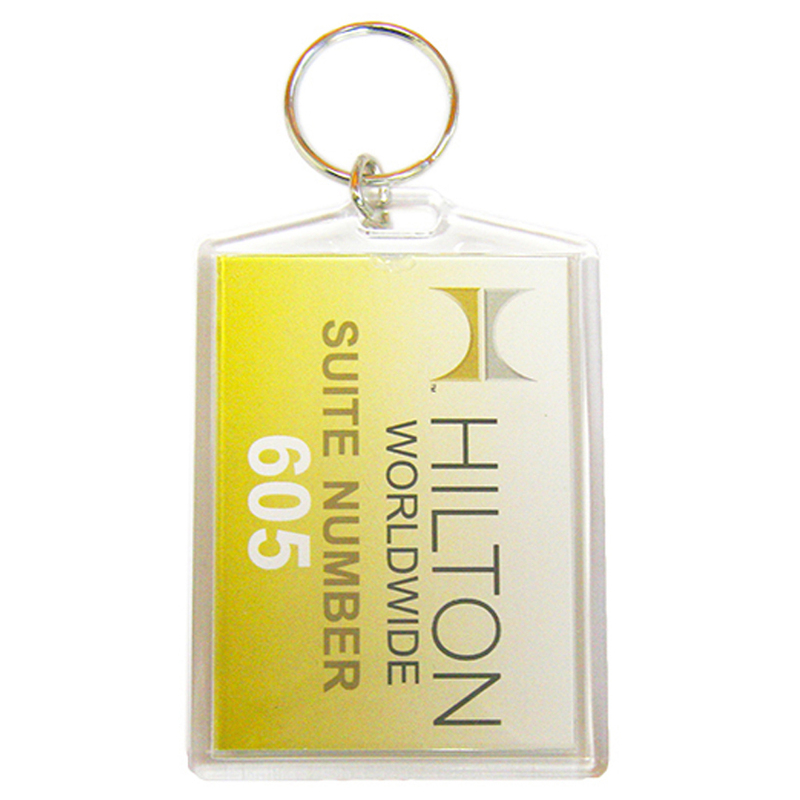 It comes as standard with a full colour print and can utilise variable-data printing allowing different different numbers to be printed on each keyring for an additional cost.